The Palestinian Ministry of Health is reporting a serious number of skin infections among displaced Gaza residents in shelters due to a severe water shortage, which affects hygiene, according to a Ma’an News Agency report today. The report states that the director of the chronic diseases department said about 50 percent of Gazans who live in sheltering centers suffer from skin problems such as fungal infections, scabies and lice. This is being mostly attributed to a severe water shortage. In addition, the crowded living conditions in the shelter are also a factor in the uptick in skin infections. In addition to several dermatologists being dispatched to the shelters, Minister of Health Jawad Awwad said his ministry contacted several international organizations and donors to try and provide medicines for all Gaza residents who were injured or those who suffered different infections during the war on Gaza. Human scabies is caused by an infestation of the skin by the human itch mite (Sarcoptes scabieivar. hominis). 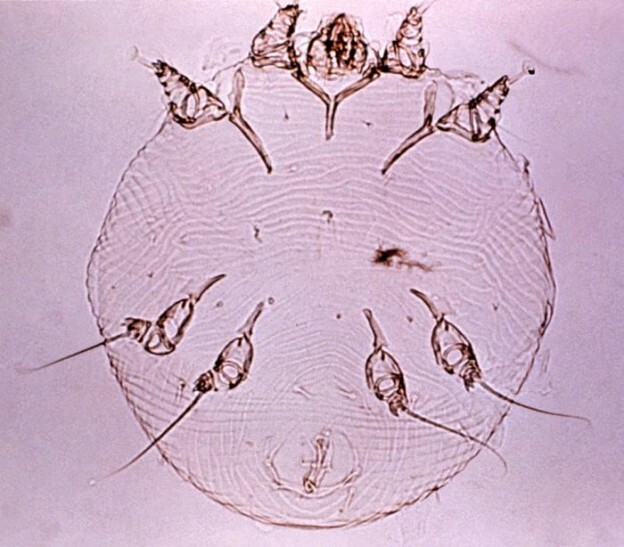 The microscopic scabies mite burrows into the upper layer of the skin where it lives and lays its eggs. The most common symptoms of scabies are intense itching and a pimple-like skin rash. The scabies mite usually is spread by direct, prolonged, skin-to-skin contact with a person who has scabies, according to the CDC. Lice are parasitic insects that can be found on people’s heads, and bodies, including the pubic area. Human lice survive by feeding on human blood. Lice found on each area of the body are different from each other.